"I can think of no authors more qualified to research the complex impact of life sentences than Marc Mauer and Ashley Nellis. They have the expertise to track down the information that all citizens need to know and the skills to translate that research into accessible and powerful prose." Marc Mauer and Ashley Nellis of The Sentencing Project argue that there is no practical or moral justification for a sentence longer than twenty years. Harsher sentences have been shown to have little effect on crime rates, since people "age out" of crime--meaning that we're spending a fortune on geriatric care for older prisoners who pose little threat to public safety. Extreme punishment for serious crime also has an inflationary effect on sentences across the spectrum, helping to account for severe mandatory minimums and other harsh punishments. 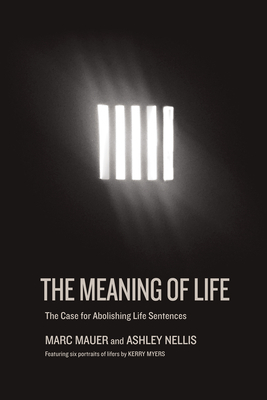 A thoughtful and stirring call to action, The Meaning of Life also features moving profiles of a half dozen people affected by life sentences, written by former "lifer" and award-winning writer Kerry Myers. The book will tie in to a campaign spearheaded by The Sentencing Project and offers a much-needed road map to a more humane criminal justice system. Marc Mauer is the executive director of The Sentencing Project, a national organization based in Washington, DC, that promotes criminal justice reform. He is the author of Race to Incarcerate, the co-editor (with Meda Chesney-Lind) of Invisible Punishment: The Collateral Consequences of Mass Imprisonment. He lives in Silver Spring, Maryland. Ashley Nellis is a senior research analyst for The Sentencing Project who has written extensively on the prevalence of life sentences in the United States. She lives in Falls Church, Virginia.